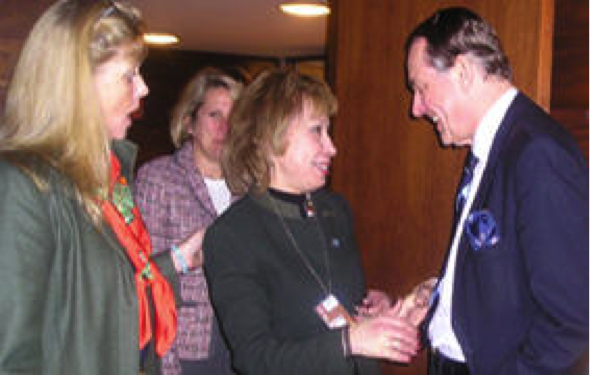 February 2006 - U.S. Federation for Middle East Peace (“UFMEP”) hosted a panel discussion on “Human Trafficking in the 21st Century” as part of the 50th session for the Commission on the Status of Women (CSW) with H.E. 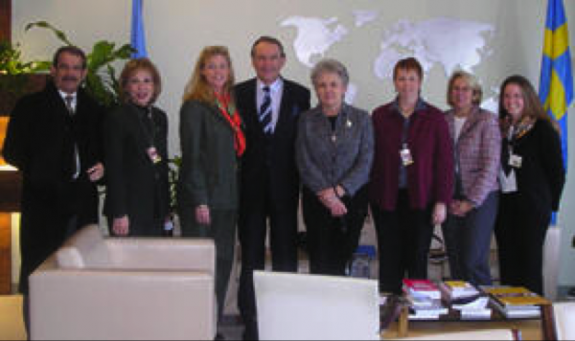 Mr. Jan Eliasson, President of the sixtieth session of the United Nations General Assembly. UFMEP President, Mrs. Salwa Kader, moderated the event discussion which shed light on the atrocious impacts of human trafficking, particularly on women and children, in global society. Human trafficking in the 21 Century panel with H.E. Mr. Jan Eliasson General Assembly President.